This past weekend was so very bittersweet for me. Krista, my protégée for seven years, has – in her own words – “left the nest.” She was asked to be the worship pastor at one of our daughter church and she accepted. For our church, this is a huge win: to see one of our own (she had been a part of our church since she was two years old) so grow and thrive in her relationship with the Lord, that she starts making major contributions – not just for our church – but for the Kingdom of God. 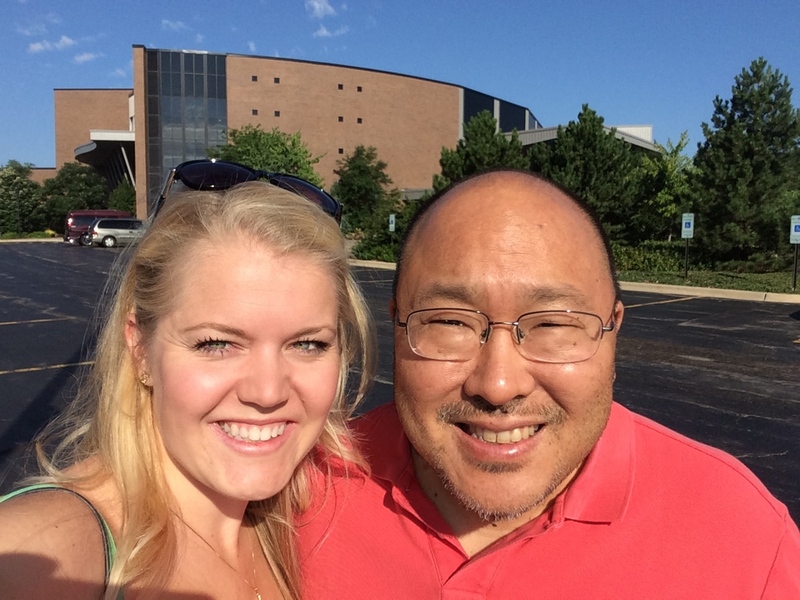 For seven years, I’ve taught and trained Krista to be a worship pastor. First, it was learning the mechanics of the ministry, as she served as my administrative assistant. Then it was process of becoming a worship leader – to understand the congregation, to work with the team, and to coordinate with our staff. Then there was the training of going deeper with God; spiritual formation, seeking Christ in Whole Life Worship, confronting the false self, and learning to lead from the strength of our Christ-surrendered souls. And finally, we focused on what it means to feed the sheep of Jesus; pastoring people, being present and helping them in their time of need, discerning the Spirit’s lead in how He wants us to come alongside people – and not relying on our own insight. And the past few years have been so awesome! You see, it wasn’t always about me training Krista. She taught me so much about faith, love, truth, and being authentic. (I think I learned far more from her than she did from me.) The last couple of years our relationship was less Master/Protégée, and more like being seasoned co-workers. We were a finely tuned “duet” that enabled our Worship Ministry to enjoy its best years of ministry in the twenty-two years I have served at this church. But now she is moving on. She is ready to be a worship pastor at another church that needs her. And so, part of me is so very, very happy. This is a fulfillment of a grace-filled, yet intentional work of seven years. I celebrate that with gusto! And yet, I’m also very, very sad. I will sorely miss her. Very bitter-sweet. And this is not the first time. Over the past 30 years, I’ve had the honor and privilege to raise up, train, and release several worship leaders and pastors. I think I’m wired to do this. I’m most alive when I am working with a protégée. Each goodbye is hard because of the mixed emotions. There is the initial sense of sadness at one level, but it’s always followed by a “tinge” deep joy as time goes by. I’m in good company. Moses passed the mantle to Joshua. Elijah had to release Elisha. Barnabas mentored and elevated Paul. Paul trained and sent out Timothy. And the goodbyes were hard. But it is God’s will and design for us to multiply leaders for the Kingdom, and to do it relationally. I’ve lost a protégée. But the tinge of joy is that I’ve gained a colleague. And with this colleague, there are great hopes and expectations – not only in her own worship ministry – but also of seeing her own protégées raised up, them being trained by her in Whole Life Worship, and then released and thriving for the Kingdom of our Lord Jesus. And that vision is worth far more than any sense of loss I’m feeling today. love your perspective. It’s quite humbling to me.